With more than a dozen pet friendly hotels throughout the city, and even more restaurants that open their doors to doggy dining companions, it’s no surprise that San Diego is a popular destination for pet lovers. And for those looking for a pet-centric experience that goes above and beyond, you’ll find that here too! Many San Diego restaurants set out water bowls and treats for dogs dining with their owners, but the La Jolla Brewing Company steps up the canine dining game with an entire Dog Menu. While you enjoy one of their signature craft brews, your pooch can feast on frozen “chicken pops” or an oatmeal bowl topped off with peanut butter. 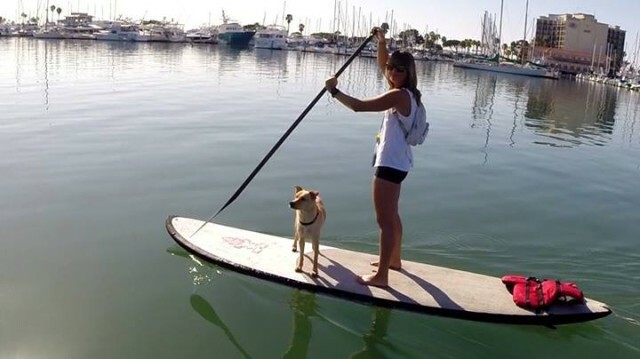 Active pet lovers can take to the bay with their dogs thanks to SUP Pups, a stand up paddle board tour for dogs and their owners hosted by The SUP Connection. The tour includes some doggy playtime followed by a paddle through the calm channels of the San Diego Bay. Is your dog already a pro when it comes to water sports? 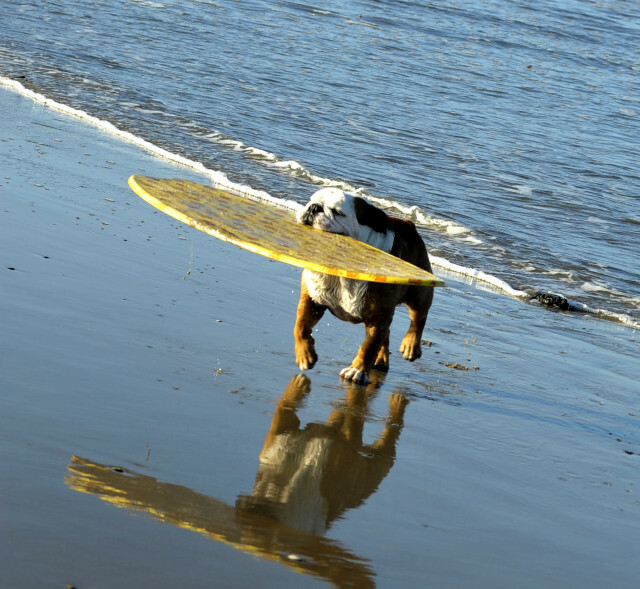 Enter him or her in the annual Unleashed by Petco Surf Dog Competition! At the most adorable surf event of the year, fearless dogs jump on their boards, paddle out and hang 20. Even if your dog isn’t up for the challenge, it’s plenty of fun to watch. Of course, it’s not just dogs that have all the fun in San Diego. If cat cuddles are what you seek, head to San Diego’s Cat Café. The spot in the heart of downtown offers visitors a chance to enjoy delicious cup of coffee while hanging out with several resident kitties. Best of all, the resident cats are available for adoption, so if your fall in love over your cup of coffee, you can take your new best friend home with you! Have a favorite San Diego activity to do with your best friend? Share it in the comments below! 1. 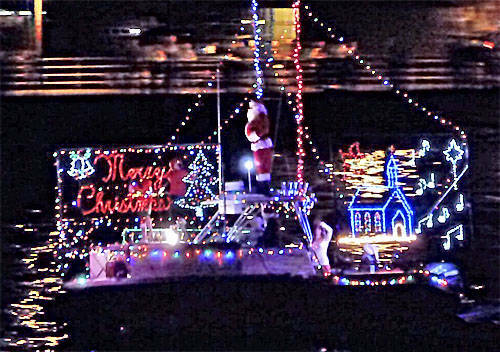 San Diego Parade of Lights: Head over to San Diego Bay on December 11th and 18th for the 40th Annual San Diego Bay Parade of Lights where hundreds of boats will be decorated for this dazzling holiday boat parade of lights. 2. La Mesa Christmas in the Village: This popular holiday event features horse-drawn carriages, carolers, marching bands and entertainers, all lined up along La Mesa Boulevard. Guests can also enjoy an outdoor market, food and special appearances by Santa Claus. 3. 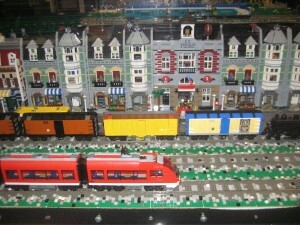 Holiday LEGO Train Exhibit: Through January 12, 2012, the San Diego Model Railroad Museum features its annual Holiday LEGO Train Exhibit. For any train and/or LEGO enthusiasts, this exhibit is not to be missed. Be sure to be on the lookout for Santa scaling one of the buildings! 4. 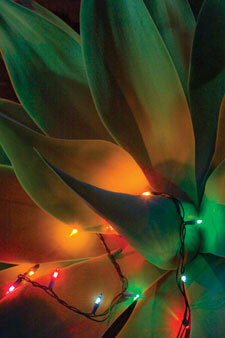 Garden of Lights: From December 8 through the 30th, head up to the San Diego Botanical Garden for the Garden of Lights. The Garden is transformed into a dazzling winter wonderland with over 100,000 sparkling lights illuminating the Garden for a magical holiday experience. 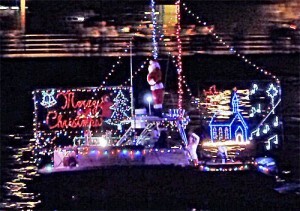 Many of these lights are LED, which are much brighter than regular lights. Numerous activities include horse-drawn-wagon rides, holiday crafts, marshmallow roasting, visits with Santa, live music, hot mulled wine and refreshments. 5. 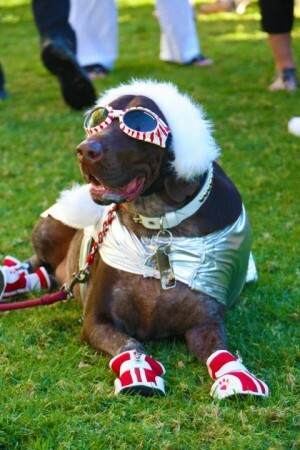 Gaslamp Holiday Pet Parade: If you own a pet, the Gaslamp Quarter on December 11th is the place to be. Once a year San Diego pets and owners are invited to dress up in their favorite costumes for a special promenade throughout the Gaslamp Quarter to celebrate the holiday season. You can only imagine the fun and excitement as downtown becomes filled with costumed pets & their handlers all vying for prizes and bragging rights including Best Costumed Duo, Cutest Critter, Best Pet Costume & Best of Show!